Nathan Hughes believes former Wasps team-mate Danny Cipriani is ready to mark his international return by orchestrating the end of England's losing run. Eddie Jones' men conclude an unsuccessful tour of South Africa in today's third and final Test at Newlands, having already surrendered the series and extended their winless streak to five matches. 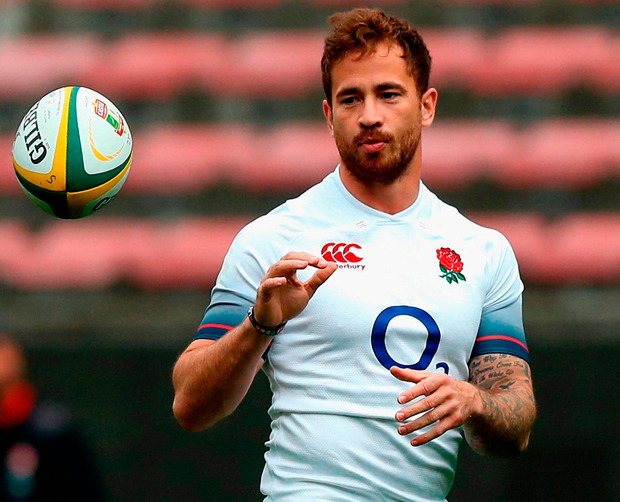 England's head coach has reacted to events at Free State Stadium last weekend by selecting Cipriani at fly-half at the expense of George Ford in what will be the 30-year-old's first start since 2008. Having fallen in and out of favour with a succession of Jones' predecessors, Cipriani has finally convinced the Australian that he is no longer the divisive figure once viewed as a disruptive influence. And Hughes reckons England will profit from the presence of a player who rejected lucrative offers from France and Japan to keep his international dream alive. "Danny is a world-class player," the Fijian-born Wasps No 8 said. "I've played with him for two years and before that I played against him. "As an attacking player, he's very hard to defend against. He's a had a good week and a good camp and now he has the opportunity to start." Cipriani's artistry with the ball that identifies him as the nation's most gifted attacking fly-half will count for nothing, however, if his pack continue to be over-run - a theme of the Tests in Johannesburg and Bloemfontein. England have bristled with intent behind the scrum, especially in the opening quarter, only to be bullied by the Springbok forwards. Hughes, who has replaced the injured Billy Vunipola, accepts it is the duty of the pack to provide ball needed to overthrow the hosts. "Us forwards have to match them up front," Hughes said. "South Africa have got a big pack, but if we can win the gainline and put our backs on the front foot, we've got a good back line that can score tries."